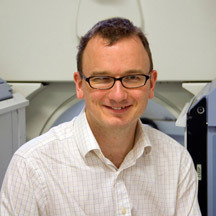 Richard Graham is a Consultant Radiologist with subspecialist expertise in diagnostic and interventional musculoskeletal radiology, sports imaging and nuclear medicine. He studied at the Universities of Cambridge (graduating with first class honors) and Oxford. He trained in radiology in Oxford and was awarded the Constance Thornton Fellowship in 2008 by the Royal College of Radiologists to undertake a visiting fellowship at Stanford University Medical Centre, California. Richard is a member of the Royal Naval Reserve where he is in charge of medical officers nationally. He has been called out in to regular service with the Royal Navy and has served as a Consultant Radiologist at Camp Bastion in Afghanistan.